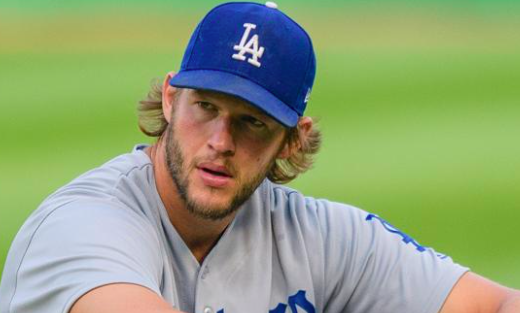 He’ll end up being more than a couple of weeks late, but Clayton Kershaw is ready to make his first start of the 2019 season. The Los Angeles Dodgers announced Thursday that Kershaw will be activated from the Injured List on Monday and make his first start of the season against the Cincinnati Reds. The timing is good for the Dodgers, who are currently in the midst of a four-game losing streak. Unfortunately for Kershaw, injuries have become a common occurrence in recent years. He’s spent time on the DL in each of the last three seasons due to back trouble, among other ailments. The three-time Cy Young winner has averaged just under 25 starts per season over the span. However, it was a balky shoulder that has kept the lefty sidelined during the early part of the season. The 31-year-old Kershaw didn’t make any official appearances during spring training. But he’s recovered well enough to make two minor league rehab starts. Over those two starts, Kershaw has thrown 10.1 innings, allowing four runs on nine hits while striking out 12. Everything went according to plan in his most recent start on Tuesday; Kershaw threw 81 pitches and went six innings. It was enough to convince the Dodgers that he’s ready to pitch in the majors. Despite missing all of spring, the Dodgers don’t expect any restrictions for Kershaw on Monday. The club believes Kershaw’s two starts in the minors and the 81 pitches he threw on Tuesday are enough for him. Just in case, the Dodgers are giving him an extra day off to make sure he’s rested and ready to go on Monday against the Reds. Kershaw’s return comes at a good time for the Dodgers. Not only are they battling a losing streak, but fellow lefties Rich Hill and Hyun-Jin Ryu are also on the IL. Hill is yet to pitch this season while Ryu was just lost to a groin injury on Monday. The Dodgers still have to find a starter to take Ryu’s spot on Saturday. But Kershaw’s return on Monday will get their starting rotation back to five members. Obviously, Kershaw’s health is essential to the team’s success this season. The Dodgers will surely be worried given his problems staying healthy in recent years. But the Dodgers need him back and they need as many starts from their ace as possible this season. With an uneven start to the season, the Dodgers can only hope that Kershaw’s return on Monday will help them get back on track and once again seize control of the NL West.